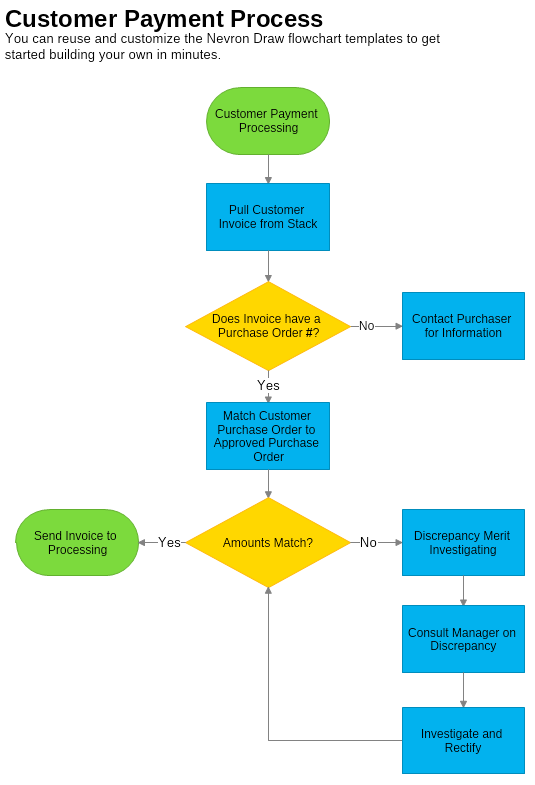 The Customer Payment Process Flowchart diagram describes the process of receiving a payment of an invoice and processing the correct documents in the necessary order. It is an important part of the daily routing of every organization worldwide which is why a well-structured visual "manual" in the form of a diagram is important. You can download and edit this Customer Payment Process Flowchart to match your company's standards and provide an easy follow through visual to your personnel.